Juan Pablo Martinez, a current graduate student in Belmont’s organizational leadership and communication program, is one of five co-founders of Teach for Ecuador, a nonprofit that seeks to create a movement of agents of change committed to expanding quality education and opportunities for all Ecuadorian children. Martinez created the organization as an opportunity to give back to his country–and to prove that where you were born does not have to define your abilities, talents or outcomes. Utilizing a two-part model for services, the organization’s Fellowship Program provides an opportunity to the country’s brightest and most promising individuals from Ecuador’s best universities and workplaces. These fellows serve as full time teachers in low-income communities with some of the nation’s most under-resourced schools. This experience, Martinez said, benefits both the fellows and the community around them. 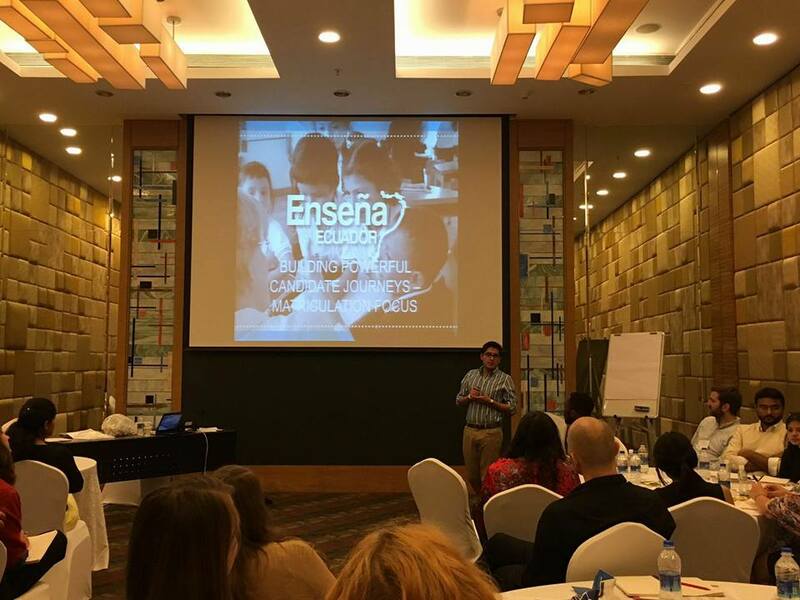 “Our fellows get exposed to the grassroots realities of Ecuador’s education system and begin to cultivate the knowledge, skills and mindsets necessary to attain positions of leadership and identify their role in building a larger movement for equity in education,” he said. Beyond their experiences as fellows, Martinez and his team support the leaders in their efforts to become advocates for change. Working in many positions within the education system as well as within the ecosystem surrounding Ecuador’s education, these fellows share a collective purpose towards nation-wide educational equity. “Together, we are working to build a broad people’s movement for educational equity that will accelerate progress toward the day when all children in Ecuador have the opportunity to attain an excellent education so that we, as a nation, can find our light and true potential,” Martinez said.